The Occupational Safety and Health Administration (OSHA) has set the legal limit (Permissible exposure limit) for coal dust exposure in the workplace as 2.4 mg/m3 (5% SiO2) over an 8-hour workday. The National Institute for Occupational Safety and Health (NIOSH) has set a Recommended exposure limit (REL) of 1 mg/m3 (measured by MSHA) or 0.9 mg/m3 (measured by ISO/CEN/ACGIH) over an 8-hour workday. Coal dust suspended in air is explosive—coal dust has far more surface area per unit weight than lumps of coal, and is more susceptible to spontaneous combustion. As a result, a nearly empty coal store is a greater explosion risk than a full one. 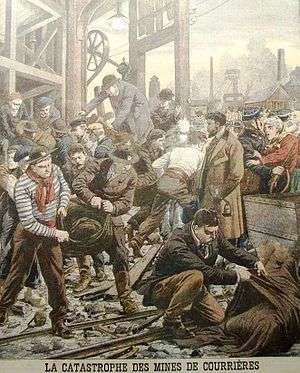 The worst mining accidents in history have been caused by coal dust explosions, such as the disaster at Senghenydd in South Wales in 1913 in which 439 miners died, the Courrières mine disaster in Northern France which killed 1,099 miners in 1906, the Luisenthal Mine disaster in Germany, which claimed 299 lives in 1962, and the worst: the explosion at Benxihu Colliery, China, which killed 1,549 in 1942. 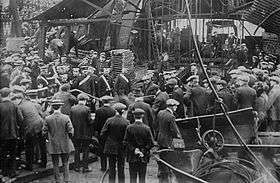 Such accidents were usually initiated by firedamp ignitions, the shock wave of which raised coal dust from the floor of the mine galleries to make an explosive mixture. The problem was investigated by Michael Faraday and Charles Lyell at the colliery at Haswell County Durham of 1844, but their conclusions were ignored at the time. The main attempts at prevention include using safety lamps, adding stone dust coffers to mine galleries to dilute the coal dust, watering workings and ensuring efficient ventilation of all the workings. Coal workers' pneumoconiosis, or black lung disease, is caused by inhaling coal dust, typically dust produced in coal mining. Government agencies in the United States have set exposure limit guidelines for coal dust inhalation. For use in thermal power plants, coal is ground into dust using a device called a powdered coal mill. The resulting product, called powdered coal or pulverized coal, is then generally used in a fossil fuel power plant for electricity generation. Pulverised coal is a significant dust explosion hazard, as large quantities are suspended in air for transfer from the mill to the power plant. Explosions have occurred when the flow drops and flames in the burning chamber pass back along the ductwork delivering fuel. ↑ "CDC - NIOSH Pocket Guide to Chemical Hazards - Coal dust". www.cdc.gov. Retrieved 2015-11-27. ↑ "Powdered Coal Mill". Engineering Dictionary. EngNet. "Coal Dust Explosibility Meter Evaluation and Recommendations for Application". NIOSH Information Circular No. 9529, Mining Safety and Health, National Institute for Occupational Safety and Health, CDC. August 2012. Retrieved 2013-12-01. "NIOSH Pocket Guide to Chemical Hazards - Coal Dust". Centers for Disease Control and Prevention, U.S. Department of Health and Human Services. Retrieved 2013-09-13. 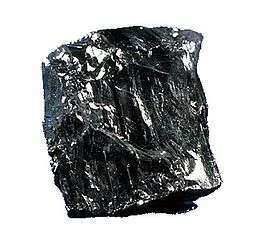 "Occupational Safety and Health Guideline for Coal Dust (Less than 5 percent SiO(2))". Occupational Safety & Health Administration, U.S. Department of Labor. Retrieved 2008-08-28. "Technology News 515 - Float Coal Dust Explosion Hazards". Technology News. NIOSH Publication No. 2006-125, Mining Safety and Health, National Institute for Occupational Safety and Health, CDC. April 2006. Retrieved 2008-08-28.